I was often able to notice a certain disbalance in my school between work and rest and a lack of appreciation for the importance of sleep. It is a common occurrence in creative industry and academies because controlling the artistic process and comming up with solutions takes a lot of time and focus. This can easily cause a shift in our priorities and influence how we spend our time. That is why the target group of this project was the AFAD community. My intention was to give students a better chance to remind themselves to care for their health. As a foundation of the name and the form of the project I took the old still life baroque paintings, which are metaphors for temporal nature of life. 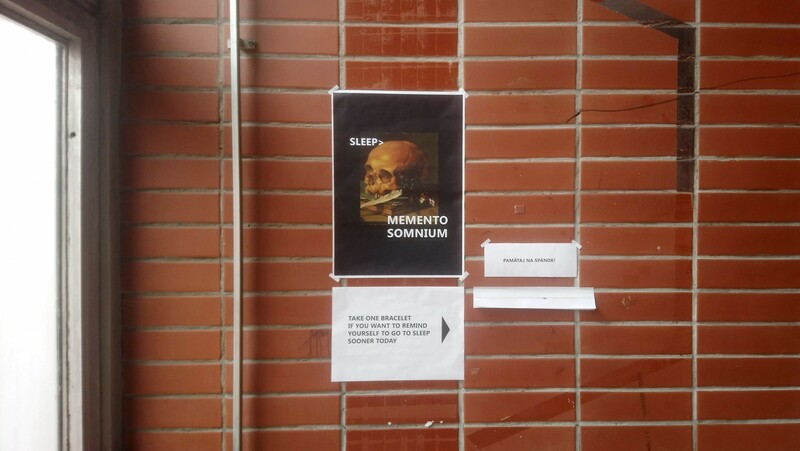 These „memento mori“ (remember death) I reintroduced with the motto „memento somnium“ (remember sleep). 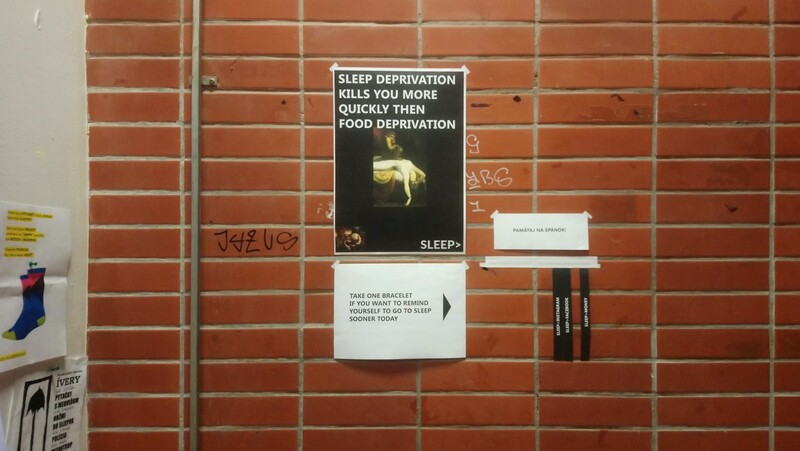 This action was quite appropriate because lack of sleep can kill you faster then lack of food. I also used a panting depicting sleep paralysis which is a phenomenon caused by increase in stress and decrease in sleep. From these paintings posters were created which ended up hanging on walls of AFAD (The Academy of Fine Arts and Design in Bratislava). 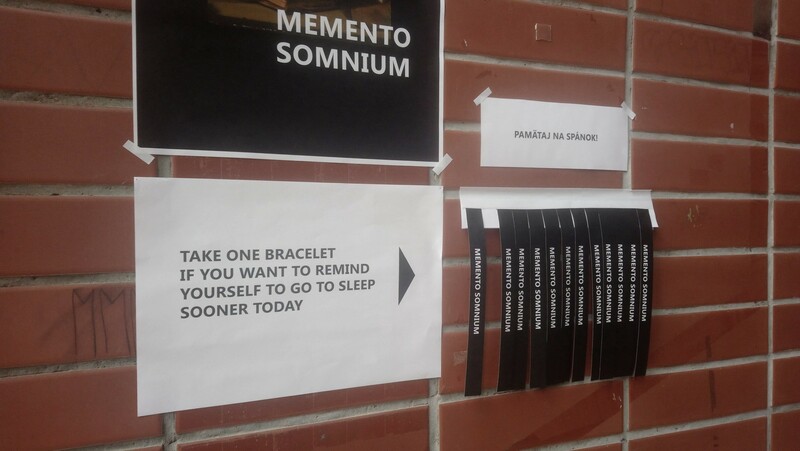 Next to those posters students could find bracelets with the mottos on them. 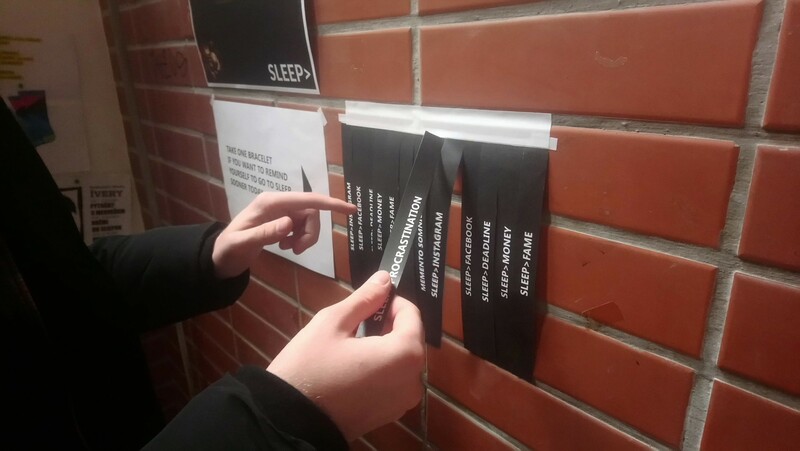 A part from „memento somnium“ I also used the motto „sleep>“ („sleep more“) which had one meaning when it was on its own and another when one more priority was added („sleep>procrastination“, („sleep>deadline“etc.). 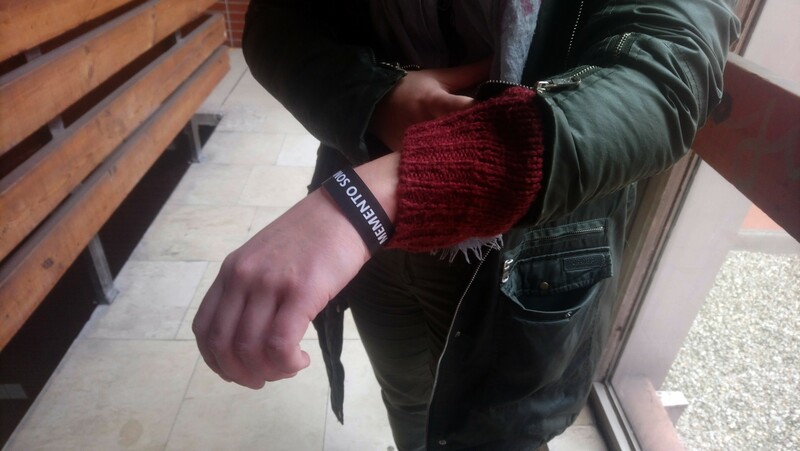 Students had the option of taking those bracelets as away of reminding themselves of the importance of sleep. They could choose a motto which resonated with them the most. 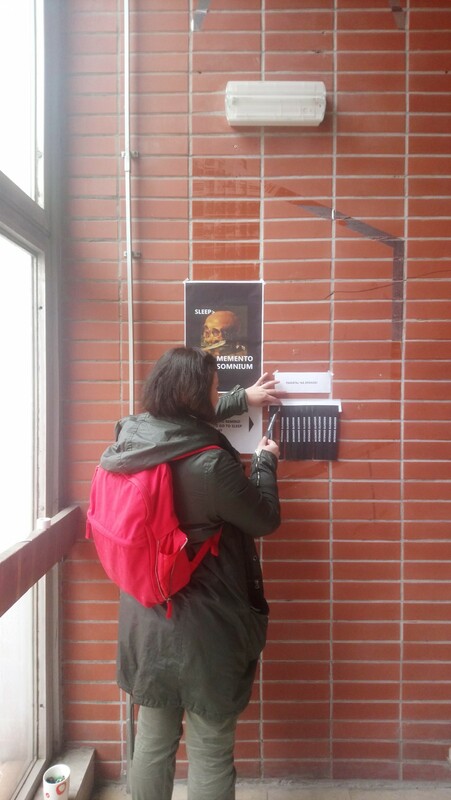 During the instalation of the project it recieved interest from my schoolmates with whom I started multiple disscusions. On the other hand, I also encountered criticism. After 3 days not a single bracelet remained. These things are hopefully evidence that my project did have an impact and that it achieved the intended goal. 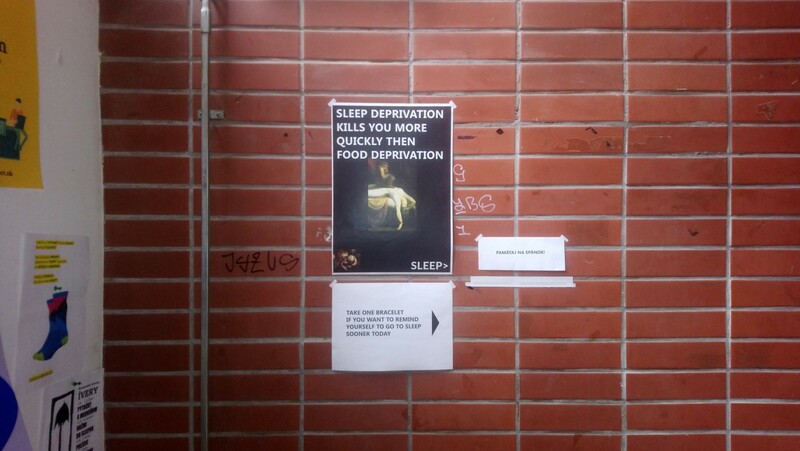 Raising the awareness about the imporatance of sleep.